Since 10 years we share our passion to arts and photography. Our latest object of interest is already aged of 166. 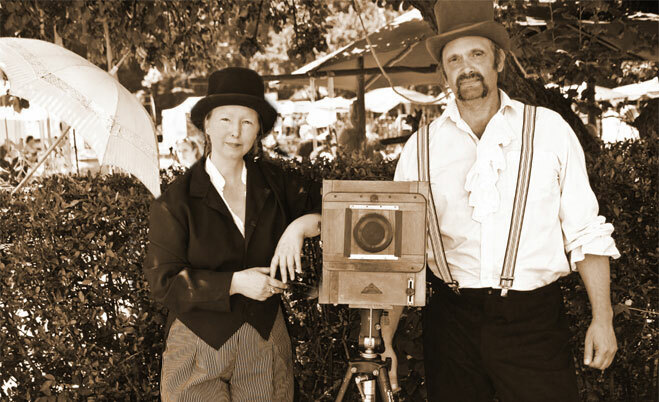 The project „1851-reloaded“ takes us back to the very beginning of the ara of photography. 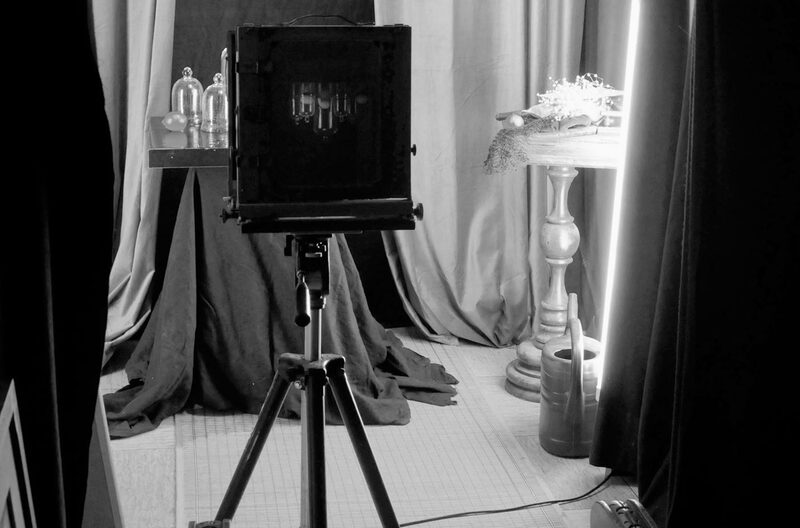 It was clearly worth it to be realized, even though it took countless nights of research to digest formulations for the necessary ingredients, find reference sources for the chemicals, find laboratory equipment, rebuild the studio, set up a darkroom and build an ultra- large format camera for collodion photography. But we are proud to have made it! 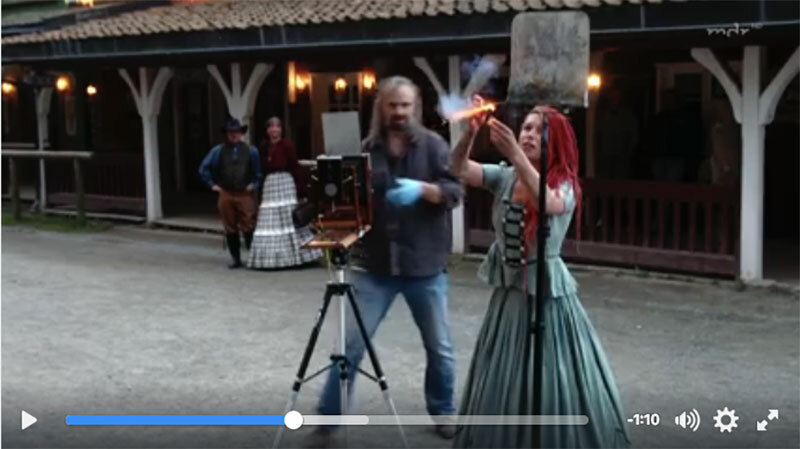 Thus in Germany it is now possible to get portraits in the style of the 19th century as tintypes (original ferrotype - asphalted steel plate) ambrotypes, albumin prints, van dyke prints and oilprints. Last but not least, we use the legendary magnesium flash. A lasting impression, not only for pyrotechnics! As passionate researchers, we certainly will not cease to continue researching, experimenting, and developing the subject artistically freely.